Purpose: To aid in the development of ocular motility, left to right scanning/progression, laterality, directionality, visual-auditory integration, visual motor integration, and speed of recognition. 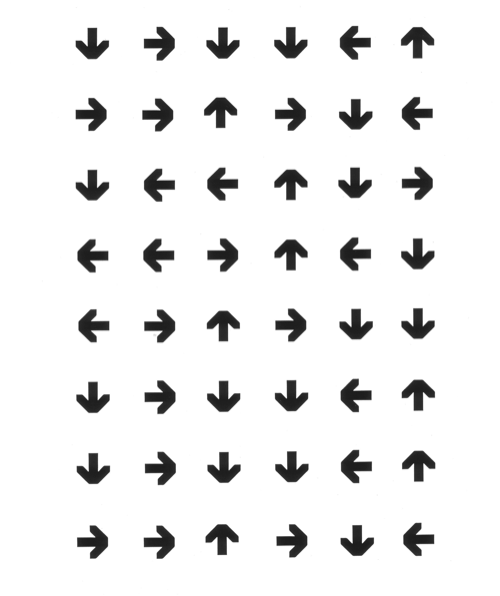 Equipment/Apparatus: Kirshner arrows worksheets, metronome. 2. Try loading the activity with the metronome as indicated in ‘Loading’ item 1 below. Also consider rotating the sheet to change the sequencing. 1. Once the child can fairly readily do the activity above with no prompting, repeat the activity with the metronome. Start at a pace that is similar to what was done without the metronome (or 45-50 bpm), then build up speed by 10 bpm until the child can handle 100 bpm or so. This can be quite challenging and not all children will be able to keep up with this pace initially. You may need to revisit this exercise a few times over a few months to get the speed up. 2. Have the child do the exercise as described in ‘Method’ but have them say the number of fingers held up in each picture. Once this can be easily done at a slower pace, pick up the pace with the metronome as described in 1. above. At the end of the session (do this for perhaps 10 minutes or so), have the child determine what his goals will be for the next session. Record the results.